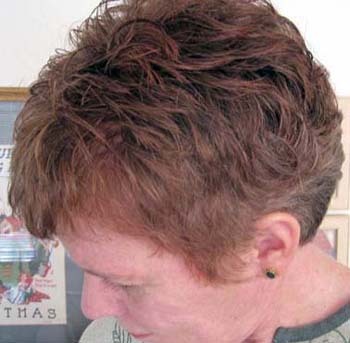 Today's Web-Letter is another enjoyably-easy pattern from Kathy North. Her designs have been featured in the Web-Letter in the past and there will be more to come. When I asked Kathy to share her designer story on the blog, her response was immediate and essentially, "Really? Me on the CEY blog?!" "Of course," I said. After that I contributed some baby item patterns to the Care Wear Volunteers newsletter. Around the same time, I was invited by an online crochet community list owner to submit a couple patterns to a database of free patterns she was assembling. First of all, I have to thank the group owner of the online crochet community for the initial invitation to submit patterns. Later, we found out we lived only 20 miles away from each other! 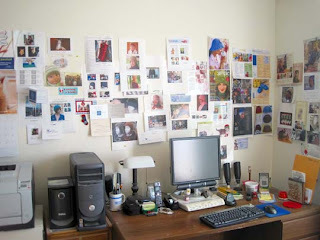 From that early chance meeting, a friendship and business-partner relationship evolved which continues to this day (she maintains the “Designs by KN” pattern database at www.piece-by-piece.net). 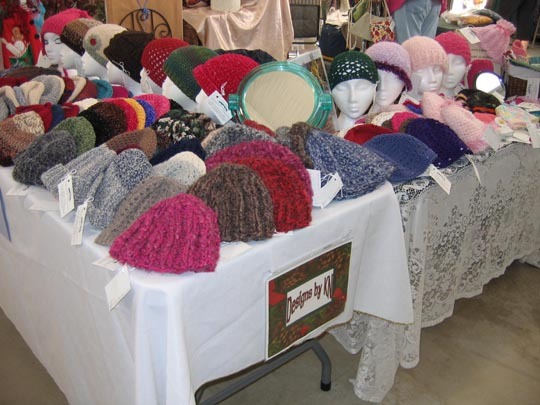 I had also been invited to participate in local craft fairs and gallery venues, selling handmade hats and other small accessories. Through that experience I gained insight into what types of items buyers were interested in. 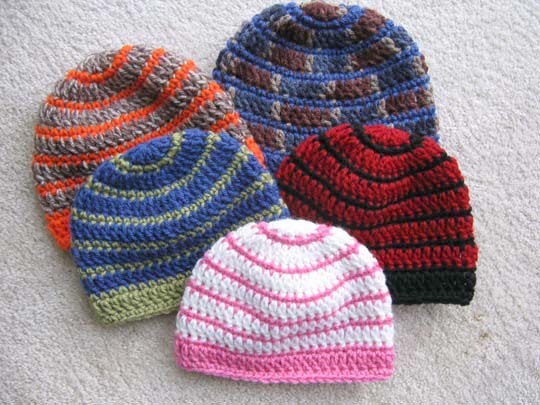 Hats and baby items that I could whip up quickly in inexpensive yarns, that were well-made, unique, and priced at $10 or less, sold like hotcakes. But I can truly say that it all started with the UPS man’s gloves! Seriously. 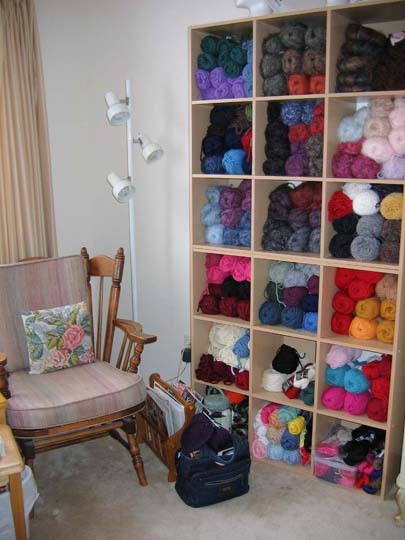 In 2003 a yarn shop opened in our small town. One day I got up courage enough to go in and hand the owner a homemade business card, offering my services in knitting & crocheting. She asked “Can you fix these?” and showed me a pair of badly-worn gloves. The repair job led to more requests from the shop, for samples to showcase the yarns they carried, for class projects to teach, and for customers requesting custom-made items, which led to a part-time job there on weekends (besides my full-time job at the library during the week). At the LYS, I was repeatedly asked the question “Do you have a pattern for ______?” eventually leading to a fledgling collection of self-published patterns. 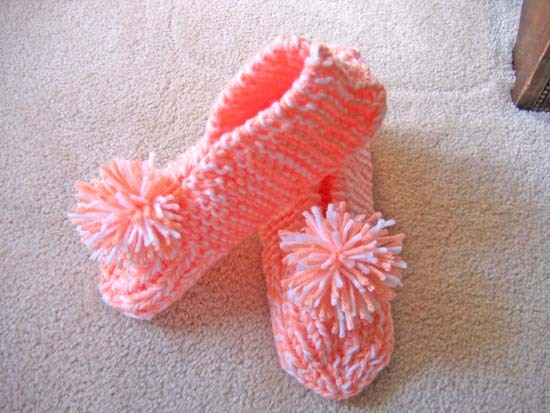 I was repeatedly asked for the pattern for My Grandmother’s Slippers. To me, this was one of those patterns that everyone in the world knew how to make because their mothers/aunts/grandmothers had made them in their day. Finally, I wrote down the version I remember my own grandmother making, even though I was sure there were patterns galore for it already out there. To this day, it remains one of the most popular patterns in my line! One day a customer, when she found out I had designed the patterns on display, vigorously shook my hand and said “Thank you! 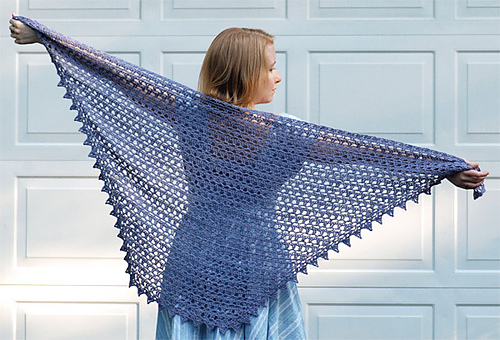 Thank you for designing crochet patterns!” But it got better. One very lucky day I received a call from the LYS owners that a yarn sales rep had stopped in and wanted to rep my patterns to yarn shops throughout his western states territory. 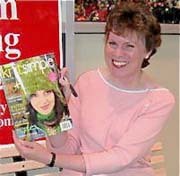 In September 2004, I officially launched my sideline business “Designs by KN.” My self-published patterns (printed at home on a laserjet printer) were wholesaled to shops. The rep introduced me to a local wholesale distributor which increased the visibility of the patterns. As with my online crochet community friend, I thank that first sales rep for invaluable knowledge gained about the pattern business. Did you start with crochet or knitting, or have you always done both? 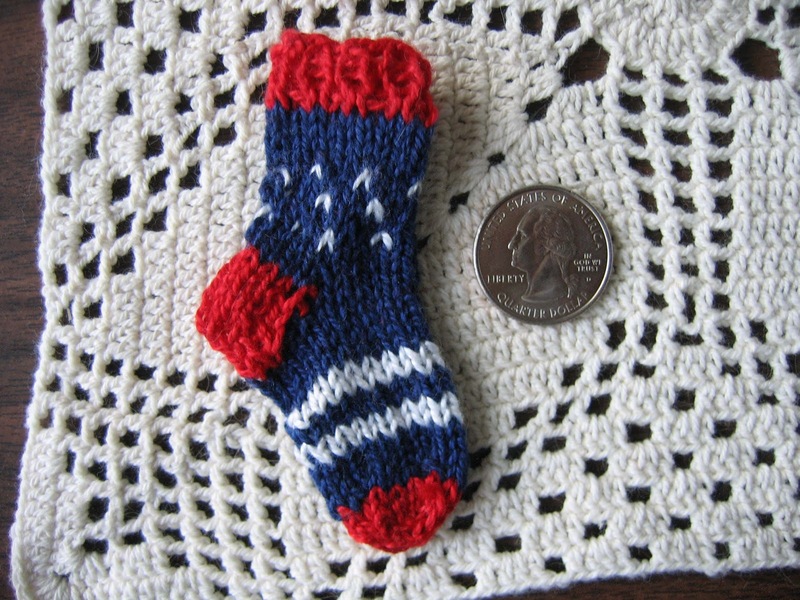 I started as a crocheter in the early ‘70s while in college (I may have inherited a crochet gene from my paternal grandmother, whose home was drenched in thread and ripple crochet masterpieces.) I taught myself from the Coats & Clark “Learn-How” booklet. My roommate was a knitter. She would sit on her dorm bed and knit while studying, reading for an English degree, and I sat on my dorm bed when I didn’t want to study (I was a psychology major) and taught myself to crochet. I never “got” knitting until the early ‘80s when I found myself helping out part-time in another needlework shop. I was the lone crocheter in a group of master knitters. Again, I taught myself from books and practice through trial-and-error. By working on easy projects for charitable causes such as Christmas-at-Sea (the basic watchcap and garter stitch scarf were excellent teaching tools) my knitting skills eventually improved, enough so over the years that I knit sweaters galore for myself, family, friends and co-workers. What is your design process, start to finish? It varies. I don’t have any formal training in fashion design (being a secretary/admin asst/catalog librarian all my life) so concepts like sketching and swatching were not part of my process from early on. For the first 30 years of my knitting & crocheting life, I was a blind-follower. When I finally took the giant step of creating something from scratch on my own, I learned that I’m more of a freestyler, who prefers to just start on something and see where it takes me, and not too fussy about details until the pattern-writing stage. Much of the time I work out ideas on the needles or hook, although I may have somewhat of a plan in mind. Sometimes I have a clear picture and get the burning desire to put it down on paper. Inspiration sometimes comes from a specific yarn or a color combination. I have journals full of notes, some of which never get any further than sketchy doodles. Once I’m stitching away with a vision, I write down every step as I work it out because it may become a finished pattern and those notes are essential. c) use it as a gift or charitable-cause contribution. Is there a particular challenge you encounter when designing? Gauge can sometimes be a challenge, when yarn choices sent by publishers may not match exactly with your original plan. I take the time to refine, rewrite, recheck and rework elements in a pattern to match the materials I have been assigned. Although I could probably produce more complex designs if I set my mind to it, my intent when starting “Designs by KN” was to produce easy, well-written, fun-to-work patterns for useful items. I have been fortunate to have found an audience for my work, as plain and simple as it is. Through the years I have learned that whatever I enjoy making for myself most likely will be enjoyed by other knitters and crocheters. Therefore I continue to focus on designs that have an inherent, soothing rhythm to the stitching, that keep you interested but are easy to execute, and that result in something practical at the end. Until retirement from 20 years at the full-time day job last year, my time for design work was limited so I deliberately kept ideas simple so as to be able to successfully complete commitments to publishers and meet deadlines. Approximately how many patterns do you publish a year? 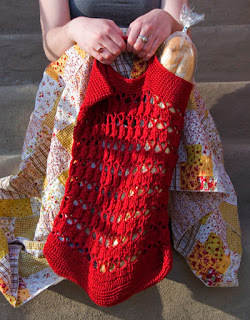 Let’s see, Ravelry is showing that I’m up to 266 designs overall since I started this crazy idea in 2004! I suppose about a dozen each year. Self-publishing has slowed a bit lately as I am finding new avenues for collaboration with yarn companies and publishers that has fit in well with my interests. What does your creative space look like? What is your favorite design? What was your inspiration? 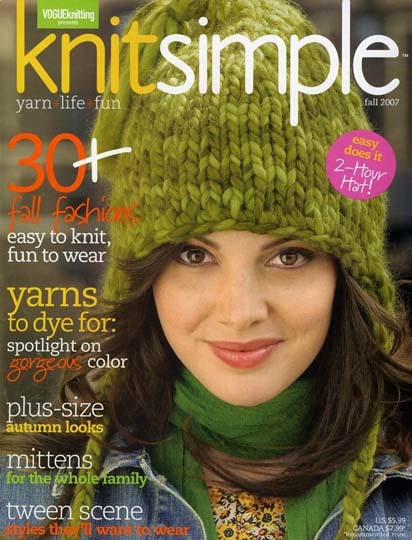 For knitting, the Tasseled Earflap Hat that appeared on the cover of Knit Simple, Fall 2007, because it was the first design submission I ever sent to a magazine, and it became a “cover girl” (another very lucky day!). Earflap hats were becoming a popular style at the time, so I created one in my own way. I still have the scrap of paper with a rough doodle of the idea and my scribbled notes on how it was made. Kathy's first submitted design – on the cover! For crochet, the Provence Summer String Bag in the CEY Web-letter, Issue 139. Market bags were all the rage at that time, so again I figured one out that I really enjoyed working on. Thanks to the CEY Web-letter team for choosing it! 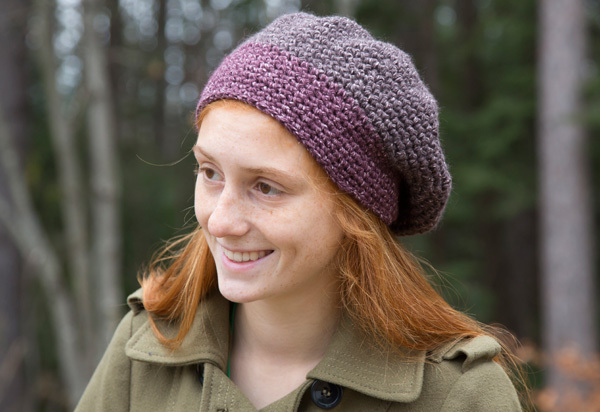 I was overwhelmed at the response and subsequent interest in a CAL for this project on Ravelry. What advice do you have for someone who is interested in designing? Go for it! If this is something you really want to do, believe in yourself and just keep working at it. You never know what will happen or what opportunities will open up along the way. Take it slowly (yes, don’t quit the day job), work hard, and be patient. 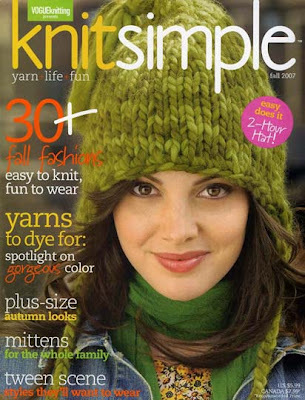 Read, read, read, take advantage of the vast knit/crochet community resources online (what did we ever do for networking opportunities before Ravelry?) and send your ideas “out there.” You just never know! 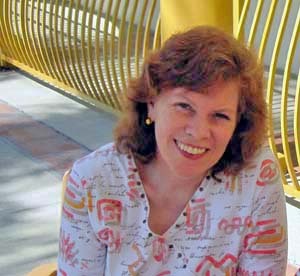 To keep up with Kathy and her designs, find her on Ravelry, visit her website and blog (she writes often and includes plenty of pictures), and browse Kathy's pattern database. We had a dusting of snow overnight. So pretty! (We were lucky that it is just enough to be pretty, but not so much that it is annoying or disruptive.) It made me think about the holidays and how quickly we go from Thanksgiving to Chanukah to Christmas and New Year's. It gets so busy this time of year, but I still want to knit - for myself as well as for others. 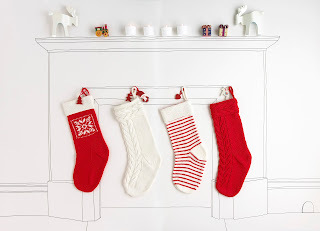 The cold weather and snow also made me think about decorating the house - I love these stockings using MillaMia's Naturally Soft Merino. Find the patterns - FREE - on the MillaMia website. We're also knitting for charity these days. There are so many people who need help; providing hats, scarves and mittens is just a little something we can do. What are you knitting for the holidays?